Born in Newcastle upon Tyne, Jonathan enjoyed singing from a very early age, including a stint during his school years at Newcastle Cathedral with Russell Missen. Conducting was always a first love starting with School and subsequently University orchestras and choirs. 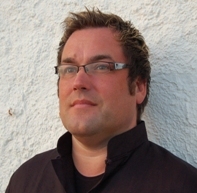 Jonathan currently conducts Jesmond Choral Group, The Jesmond Consort and the Priory Singers. Previously conductor of Warkworth Village Choir, he also has close ties with Bishop Auckland Choral Society, and for a period sang tenor with the Northern Sinfonia Chorus, where Jonathan also served as Chorus Librarian at their Sage Gateshead home. He sings occasionally with the Northern English Singers and as a noted tenor soloist in the region with a repertoire ranging from Byrd and Monteverdi through to Finzi, Howells and Tippett. 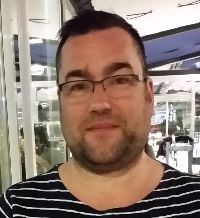 Jonathan was previously Vice-Chair for the north-east region of Making Music and is on the management committee for the Jesmond Community Forum which promotes community and amateur societies in Jesmond. When not singing or conducting Jonathan likes good food, wine and music (of course), as well as spending time in Spain.